Xtreme™ Fleet Diesel Engine Oil is formulated using state-of-the-art additive technology and premium base oils to provide an exceptional fleet engine oil for over-the-road, agricultural, logging and industrial engines. This product meets performance requirements for all major OEM engine manufacturers and provides a significant performance upgrade over all previous API categories. Xtreme™ Fleet Diesel Engine Oil is approved for use with ultra low sulfur diesel (ULSD) and low sulfur diesel (LSD) fuels and for all engines equipped with exhaust gas recirculation (EGR) systems and diesel particulate filters (DPF). Approved for use in Caterpillar® engines using ACERT® technology. 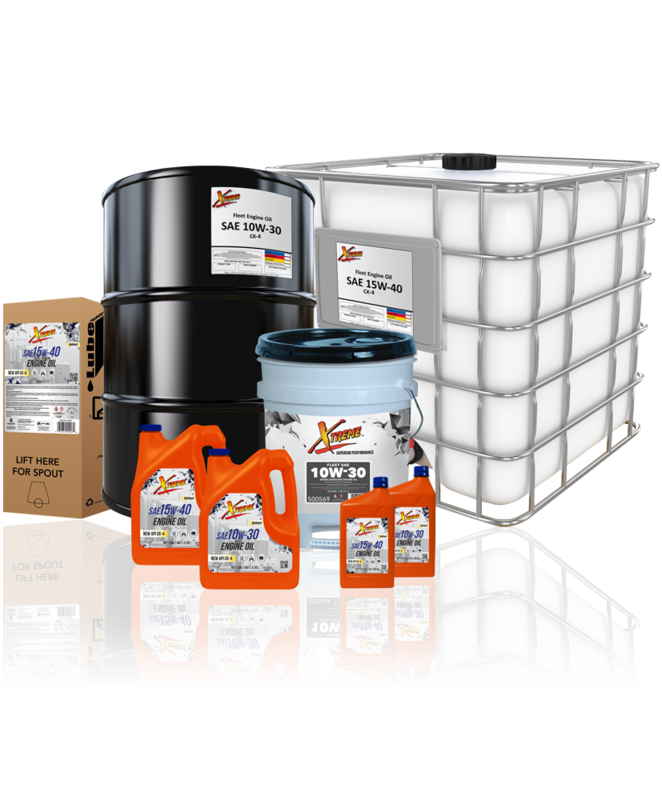 Xtreme Fleet Diesel Engine Oils are available in the following viscosities: 10W-30 CK-4, 15W-40 CK-4 SN.